The Indonesian spec India made Renault KWID has scored zero starts in the recently condusted safety tests by the ASEAN NCAP safety tests. The French automaker is likely to provide safety upgrades with the facelift version expected to launch in 2019. In a recently conducted crash test by the ASEAN NCAP (New Car Assesment Program), the Indonesian spec, India made Renault KWID has scored zero star rating. The only safety equipment on the vehicle included a driver side airbag. According to the report published ASEAN NCAP, the KWID scored 10.12 out of 35 in adult occupant protection and 14.56 out of 49 in child occupant protection. Since the car does not come with any safety assist features, it scored a zero the aforementioned test out of 18. Consequently, giving the car a total score of 24.68 and a rating of zero stars. This is not the first time that the Renault KWID has been tested by the NCAP for its crashworthiness. In early 2016, the NCAP gave the car a zero rating after which Renault made some improvements making the car achieve one star in a test conducted in later the same year. Since its launch in 2015, Renault has made some changes in the KWID to make it a safer car. If you buy the top of the line RXT trim, you can have, as an optional extra, driver side airbags, seat belt with pretentioners and load limiters. 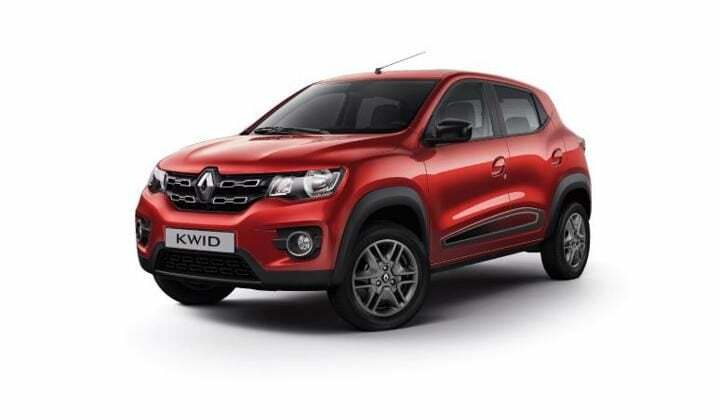 Recent reports suggest that Renault is planning to launch a facelift version of the KWID in India by the year 2019. It is to be believed that the automaker will provide the car with a comprehensive safety pack to improve its crashworthiness. Starting in 2019, new crash test regulations are going to come into play. With these, all cars sold in India have to meet certain regulations. And also they need to have dual-airbags, ABS with EBD, ISOFIX child seat mounts and reverse parking sensors as standard.